I would say, training a deep neural network model to achieve a good accuracy is an art. The training process enable the model to learn the model parameters such as the weights and the biases with the training data. In the process of training, model hyper-parameters govern the process. They control the behavior of model training and does a significant impact on model accuracy and convergence. Learning rate, number of epochs, hidden layers, hidden units, activation functions, momentum are the hyperparameters that we can adjust to make the neural network models perform well. Adjusting the learning rate is a vital factor for convergence because a small learning rate makes the training very slow and can occur overfitting, while if the learning rate is too large, the training will diverge. The typical way of finding the optimum learning rate is performing a grid search or a random search which can be computationally expensive and take a lot of time. Isn’t there a smart way to find out the optimal learning rate? Here I’m going to connect some dots together on a process I followed to choose a good learning rate for my model and a way of training a DNN with different learning rate policy. Many researchers actively work on this area and through his paper “Cyclical Learning Rates for Training Neural Networks” by Leslie N. Smith proposed Learning rate range test (LR range test) and Cyclical Learning Rates (CLR). In 2018, by the paper “A disciplined Approach to Neural Network Hyper-Parameters : Part 1 – Learning Rate, Batch Size, Momentum, and Weight Decay” Smith introduces the 1cycle policy which is only running a single cycle of training compared to several cycles in the CLR. Strongly suggest to take a look on this blog post to get an idea on 1cycle policy. Ok… Now you read it! Is this working??? I give it a try using a simple transfer learning experiment. The dataset and the experiment I used here is from the PyTorch documentation which you can find here. These are the steps I followed during the experiment. Run the LR range finder to find the maximum learning rate value to use on 1cycle learning. According to the graph it is clear that 5*1e-3 can be the maximum learning rate value that can be used for training. So, I chose 7*1e-3; which is bit before the minimum as my maximum learning rate for training. Compare the validation accuracy and validation loss of each method. 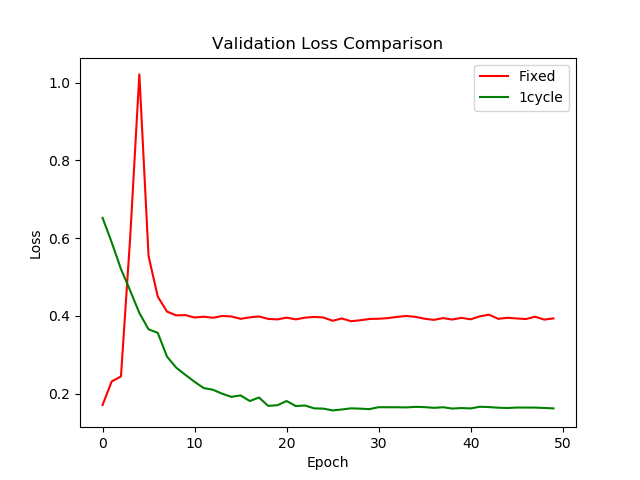 Can you notice that the green line, which represents the experiment trained using 1cycle policy gives a better validation accuracy and a better validation loss when converging. These are the best validation accuracy of the two experiments. Tip : Use the batch size according to the computational capacity you are having. The number of iterations in 1cycle policy depends on the batch size, number of epochs and the dataset size you are using for training. Convolutional Neural Networks (CNNs) are well known for its ability to understand the spatial and positional features. 2D convolutional networks and widely used in computer vision related tasks. There are plenty of research happened and on going with 2D CNNs and the famous ImageNet challenge has gained an accuracy even better than humans! It was all about 2D images. Then what about videos? 3D convolutions which applies a 3D kernel to the data and the kernel moves 3-directions (x, y and z) to calculates the feature representations is helpful in video event detection related tasks. Same as in the area of 2D CNN architectures, researchers have introduced CNN architectures that are having 3D convolutional layers. They are performing well in video classification, event detection tasks. Some of these architectures have been adopted from the prevailing 2D CNN models by introducing 3D layers for them. Tran et al. from Facebook AI Research introduced the C3D model to learn spatiotemporal features in videos using 3D convolutional Networks.This is the paper : “Learning Spatiotemporal Features with 3D Convolutional Networks“ In the original paper they have used Dropout to regularize the network. Instead of using dropout, I tried using Batch Normalization to regularize the network. Each convolutional layer id followed by a 3D batch normalization layer. With batch normalization, you can use bit bigger learning rates to train the network and it allows each layer of the network to learn by itself a little bit more independently from other layers. This is just the PyTorch porting for the network. I use this network for video classification tasks which each video is having 16 RGB frames with the size of 112×112 pixels. So the tensor given as the input is (batch_size, 3, 16, 112, 112) . You can select the batch size according to the computation capacity you have. Tran, Du, et al. "Learning spatiotemporal features with 3d convolutional networks." Proceedings of the IEEE international conference on computer vision. 2015.
by reducing internal covariate shift." We discussed the possibility of transferring the knowledge learned by a ConvNet to another. If you new to the idea of transfer learning, please go check up the previous post here. Alright… Let’s see a practical scenario where we need to use transfer learning. We all know that deep neural networks are data hungry. We may need a huge amount of data to build unbiased predictive models. Though the perfect scenario is that, in most of the cases, there’s not that much of data to train neural models. So, the ‘To Go” survivor for you may be transfer learning. Here in this small demonstration what I’ve done is building a multi-class classifier that have 8 classes and only 100 odd images in the training set for each class. The dataset I’m using here is a derivation of the “Natural Images” dataset (https://www.kaggle.com/prasunroy/natural-images/version/1#_=_ ) . I’ve randomly reduced the number of images in the original dataset for building the “Mini Natural Images”. This dataset consists of three phases for train, test and validation. (The dataset is available in the GitHub repository) Go ahead and feel free to pull it or fork it! Here’s an overview of the “Mini Natural Images” dataset. So, this is going to be an image classification task. We going to take the advantage of ImageNet; and the state-of-the-art architectures pre-trained on ImageNet dataset. Instead of random initialization, we initialize the network with a pretrained network and the convNet is finetuned with the training set. Here’s the way to replace the final layer of resNet architecture and in VGG architecture. The training and validation accuracies are plotted and the confusion matrix is generated using torchnet (https://github.com/pytorch/tnt ) which is pretty good for visualization and logging in PyTorch. 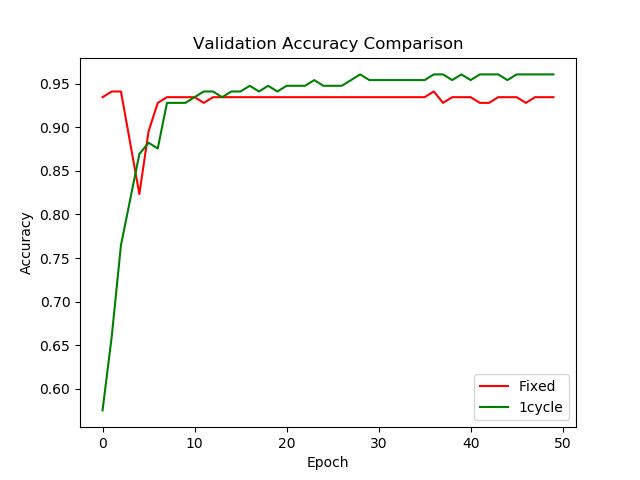 The classifier performs a 97% accuracy for the testing image set, which is not bad. Now it’s your time to go ahead and get your hands dirty with this experiment. Leave a comment if you find come up with any issue. Happy coding! Here’s the GitHub Repo for your reference! Blogs on Data Science, Machine Learning, Artificial Intelligence and everything related to machine intelligence.